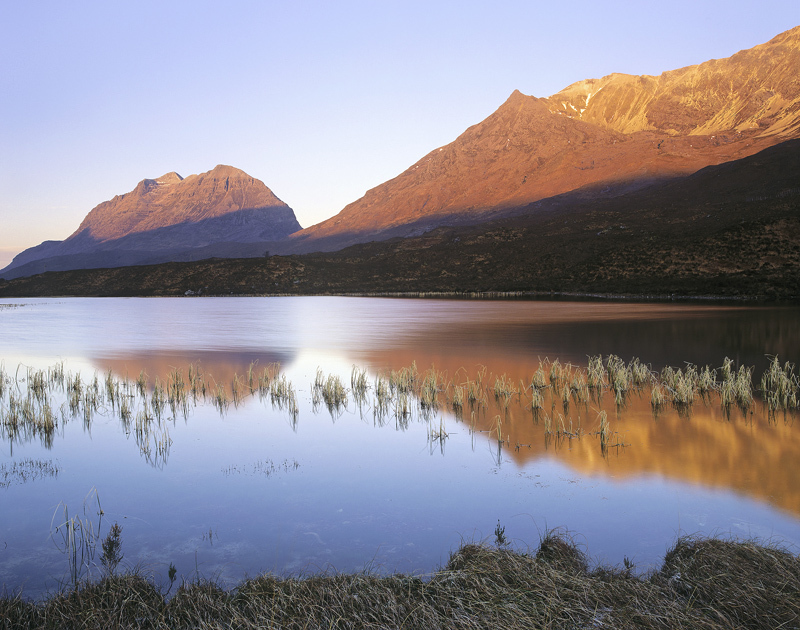 Carrot coloured early morning sunlight plays over Liathach and Beinn Eighe which in turn forms a lazy reflection in the surface of Loch Clair. I loved the golden sprigs of pale frost stiffened reeds bisecting the reflected peaks and the complimentary cool blue sky, mind you I would have been delighted to see a few clouds pop up too but heh ho! no point wishing for melons when your faced with lemons.